Scientists have discovered the mechanism by which certain epigenetic drugs improve the effects of immunotherapies and chemotherapies, providing them with vital information to aid in the design of novel approaches for fighting a number of cancers. The discoveries are described in a pair of papers published today in the prestigious journal Cell, and demonstrate that the anti-cancer effects of drugs called demethylating agents combat tumors through "viral mimicry"; that is, inducing cells to act as though they are infected by a virus or other pathogen. Tricking the cell to behave this way leads to cell death, significantly decreasing the number of tumor cells as well as cancer-initiating cells, which are thought to be integrally involved in relapse. 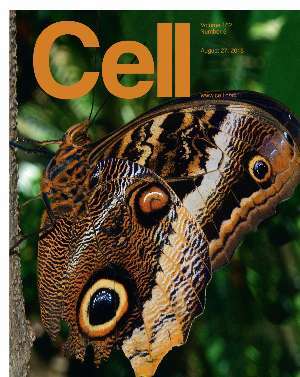 Both studies are represented on the cover of the current issue of Cell, which depicts another form of biological mimicry—a butterfly with wing patterns that mimic an owl's eye and a lizard's head to deter predators. Dr. Peter Jones, Van Andel Research Institute's (VARI) research director, is a contributing author on one of the studies, which was led by Princess Margaret Cancer Centre and University of Toronto's Dr. Daniel De Carvalho. Dr. Stephen Baylin, who holds a joint appointment at VARI and at Johns Hopkins University's Sidney Kimmel Comprehensive Cancer Center, is the corresponding author on the other paper. Jones says, "These two studies are important not only from a basic science perspective but also clinically," Jones said. "They detail how demethylating agents work, which previously was unknown, and also identify additional potential targets for therapeutic treatment. 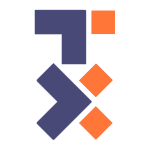 This opens new avenues for targeted treatment and augmentation of existing anti-cancer strategies by using these drugs in addition to standard therapies to create a more durable remission." Baylin says, "In previous clinical trials, we've noted that the addition of 5-azacytidine—a demethylating agent—may potentially improve responses to immune blockade therapy," Baylin said. " We are trying to verify this in ongoing clinical trials. What's exciting about these papers is that we are making great strides in the lab in understanding how these agents impact other therapies on a molecular level and how we can leverage this knowledge to design better and more effective therapies for cancers like melanoma, lung cancer and ovarian cancer. These latest findings give us the insight needed to further harness demethylating agents as cancer therapies."